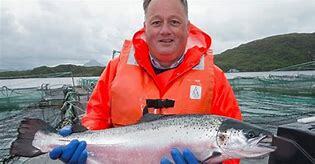 Loch Duart, the independent salmon farming company based in Sutherland and the Hebrides, has been named as runner up in the Best Food Business category at the Rural Business Awards North during a ceremony in The Last Drop Village Hotel, Bolton. The awards, which are supported by online retailer, Amazon, are a celebration of all that is great about rural business in the North of the UK. 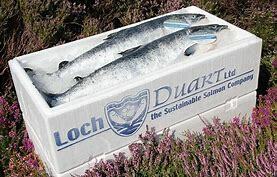 Loch Duart Ltd is an independent Scottish salmon farm based in North West Scotland. Producing around 5,000 tonnes per year, it employs 115 people in the Hebrides and Sutherland. The salmon is supplied to leading hotels, restaurants and retailers at home and abroad. Its unique farming methods include low density farming, a unique rotational fallowing system, swim-throughs and feed from sustainable sources to ensure lean, fit fish. The first fish farm in the world to achieve RSPCA Freedom Food approval. Loch Duart’s unique strategy of long term rotational fallowing optimised for each sea site according to conditions and fish numbers. In 2004, specifying sustainably sourced marine ingredients from traceable, identifiable lots for its salmon feed. Inventing a drum filter which can filter sea water down to 100 micron to collect any parasites and their eggs in the heavy water flows taken from the pens. In 2015 securing a source of capelin ‘trimmings’ for all the company’s fishmeal requirements to enhance the sustainability and quality criteria of Loch Duart’s salmon feed. Practising ‘environmental enrichment’ in their fresh water operations to stimulate the young salmon and improve welfare.